The perfect park is even better with this new spot. 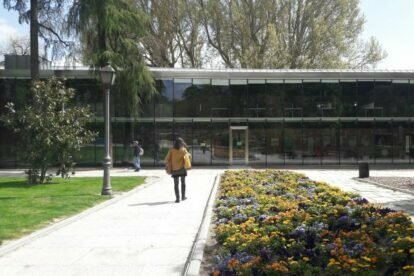 The public library is inside Retiro park (check the article Parque el Retiro), very close to the big lake and right next to restaurant La Florida. It was recently opened to the public and everything is brand new here, starting with the book collection. They also offer activities for children, seminars and have a summer calendar filled with cultural activities that everyone can enjoy. The lecture rooms and cubicles are available on the main floor, alongside computer rooms. There is also a news section with your daily dose of newspapers and magazines on various topics. It is also where they keep all the collections, mostly Spanish books, but books in English and French are also available. Free Wi-Fi is available as well. The building itself is not very big but it is beautiful, with glass windows all around so you can enjoy the park from the inside. I think it’s the perfect place to work or to study if you need to, and much better than any coffee place in the area. Remember that you are inside the park so it doesn’t get any better than that.